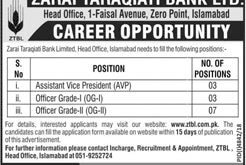 BOP Bank of Punjab Jobs 2018 Latest Advertisement Application are invited for the Qualified Staff Those Candidates who Fulfill The Required Qualification, Age Experience and All other Requirements which are Published in Jobs Advertisement they can Apply For Following Positions. How To apply in Bop? The above position carry attractive market based emolument/benefits. 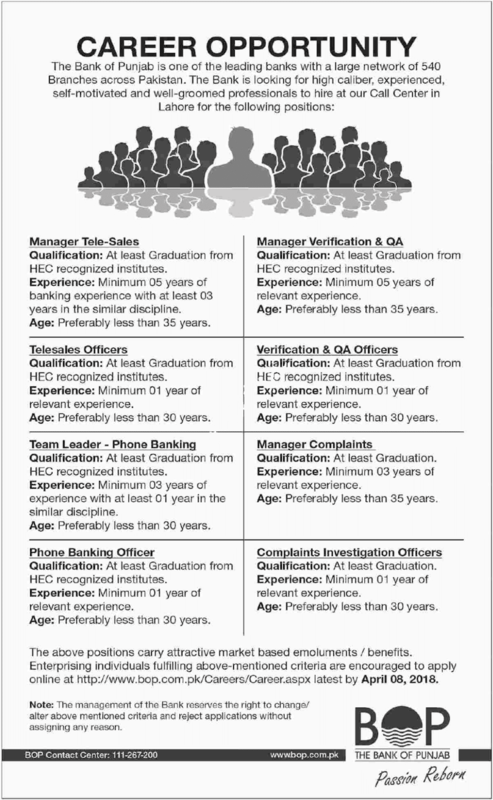 Enterprising individuals fulfilling above-mentioned criteria are encouraged to apply online at https://www.bop.com.pk/Careers/Career.aspx Latest by April 8, 2108.